1. Nearly half of all calls for police assistance in Oakland last year came from frequent callers at a relatively small number of addresses, the Chron$ reports. The flurry of calls from these locations overwhelmed OPD, and consumed a disproportionate amount of police time, diverting cops away from actual crime-fighting. OPD consultant Robert Wasserman, who has said that Oakland residents too often call 911 for non-emergencies, is studying the issue for the city and plans to devise a proposal to help solve the problem. 2. The ban on wood-burning on Spare the Air Days in the Bay Area has coincided with much better air quality in the region during the past five years, the CoCo Times reports. 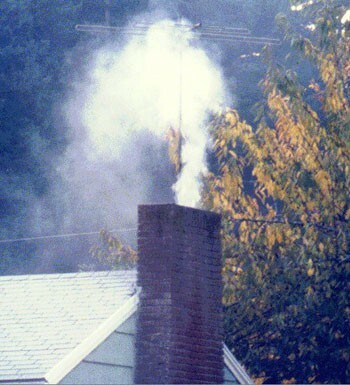 In 2008, the Bay Area Air Quality Management District began issuing fines to residents who burn wood on announced Spare the Air Days. And this past winter, the Bay Area had only one day in which the region’s air was deemed unhealthy compared to 38 such days in the winter of 2000-01. Tougher tailpipe-emission standards also have likely helped air quality. 3. Striking musicians with the San Francisco Symphony reached a tentative deal with management yesterday that could end the two-plus-week walkout, the AP reports. The contract must still be approved by rank-and-file musicians and the symphony’s board of directors. 4. An Alameda County Sheriff’s Office deputy shot and killed a drug suspect in Oakland yesterday after the man allegedly refused to get out of his car and drove off, dragging the deputy with him, the Trib reports. 5. And the California teachers union has decided to back a bill that will streamline the process for firing teachers accused of serious misconduct, the AP reports. The union had opposed a similar measure last year.